Container Crazy CT’s passion and profession is all about “Container Gardening” and creating visual impact around your home. 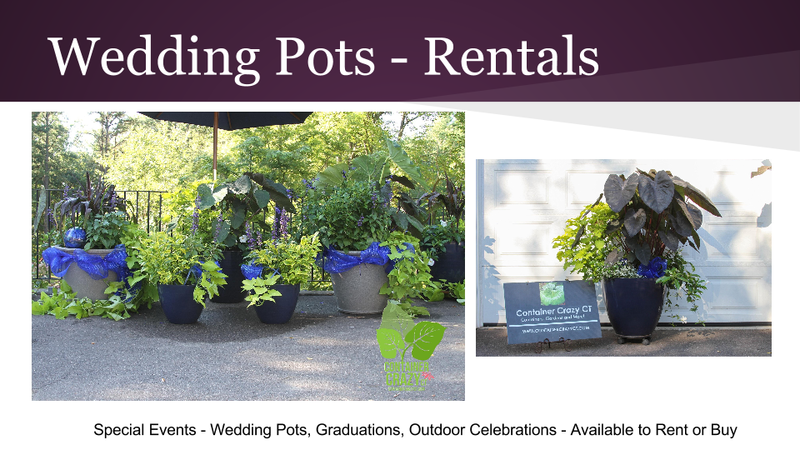 Clients are provided with container garden installations designed to meet the their specific preferences, or recommendations will be offered on the best plants to use for amazing color, texture, patterns, and appeal based on the style and location of the areas around your home. Additionally, detailed maintenance advise is provided upon installation. 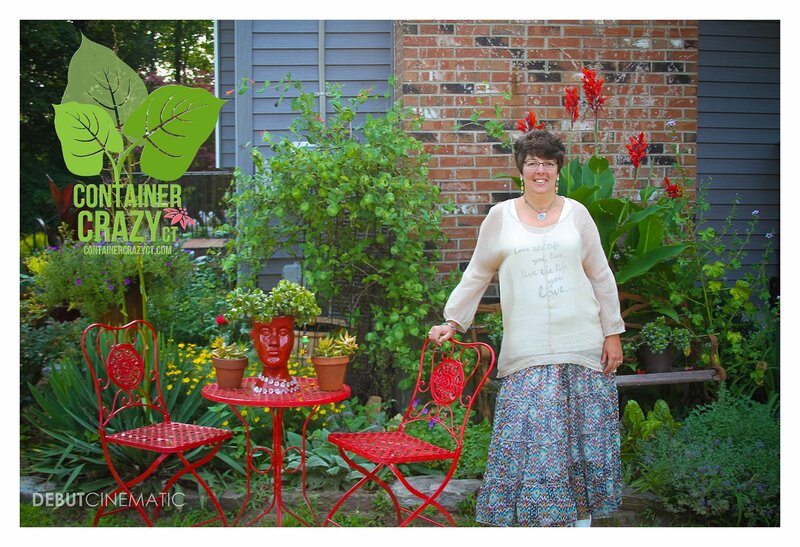 We have a special new blog site specifically for container gardening services. See http://www.ContainerGardensCT.com. For details, contact Cathy Testa at 860-977-9473. 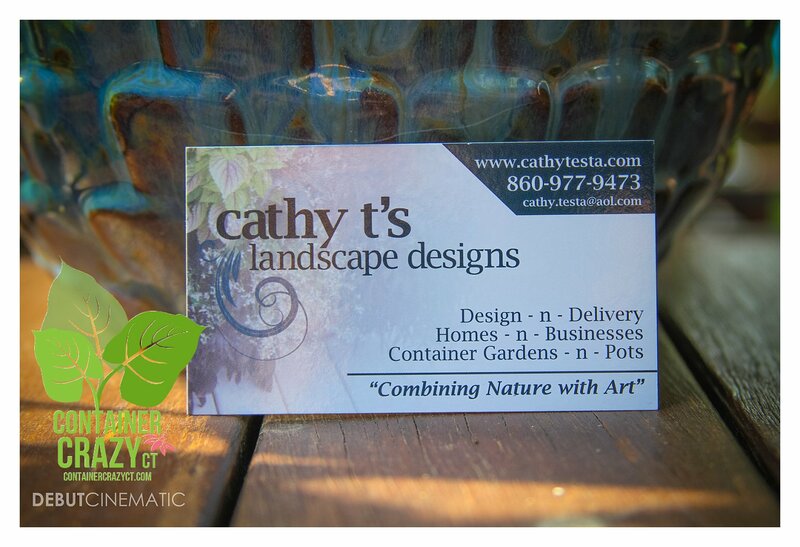 To see examples of Cathy T’s Container Gardens, visit the menu bar of Container Garden Collages above, visit http://www.cathytesta.com, or browse this blog. 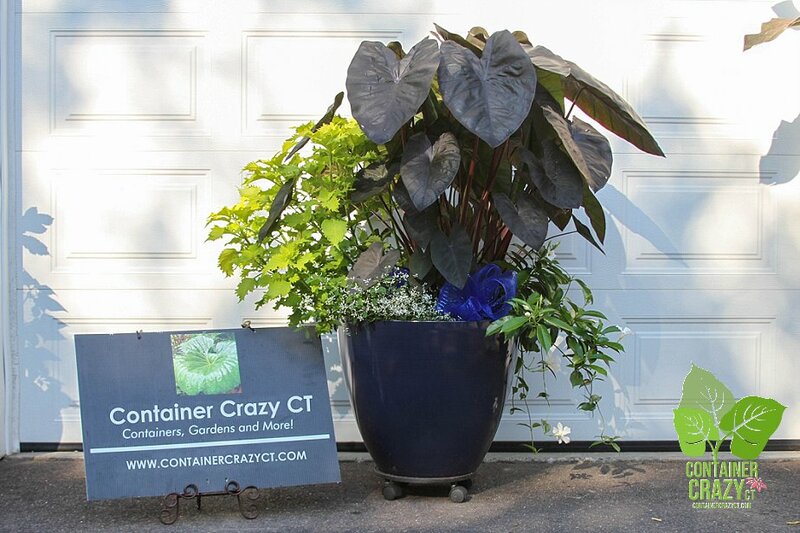 I wanted to give a great big shout out “Thank You” to Cathy Testa and Container Crazy CT! This is the 2nd time I have called upon Cathy to tackle my “eclectic” desire for container gardens at my home and each time she has “nailed it”!! I tend to see and like EVERYTHING and am easily overwhelmed with what I want..in essence “I want it ALL”. Cathy has this innate ability to do just that! (and keep me within my budget)… She seems to hit on all the colors, plants, and looks that I want. I also have to say that I have never had any plants die or not take off with full abundance and glory :-). They all seem to thrive in the container she puts them in, and I get to enjoy them with neighborhood friends with a lot of “oohs and aahs” for the entire summer and a little into the fall (weather permitting). — Dianne T (dated July 2014).